Research findings suggest the technology can be a force in managing congestive heart failure, stroke, and chronic obstructive pulmonary disease. Throughout health care, new technologies abound, promising to deliver care more efficiently and less expensively. Near the forefront is telemedicine, which connects providers and patients through information and communication technology. The future looks bright for telemedicine's success, but how effective has it been thus far? "The Empirical Foundations of Telemedicine Interventions for Chronic Disease Management" examines existing research regarding three specific diseases: congestive heart failure (CHF), stroke, and COPD. Authored by Rashid Bashshur, PhD; Gary Shannon, PhD; and Brian Smith, MS, with contributions from several leading experts, the paper examines access, quality, and cost issues. As the population ages, more attention is being paid to chronic disease, making it an ideal subject to examine to determine whether telemedicine can help combat its effects. • They performed a keyword search to identify the universe of publications available between 2000 and early 2014 using terms such as telemedicine, telehealth, and telemonitoring, along with each of the three chronic diseases included in the study. • They identified the research articles from the results of step 1. • From that pool, they identified studies that had a robust research design, randomized clinical trials or approximations, and a sample size of 150 or more. • They analyzed the complete manuscripts of the final set of studies. The authors say the fact that telemedicine has existed in various forms for so long "demonstrates the centrality of long-distance communication in medicine and in human experience" and "provides a stark reminder of the remarkable and steady progress in the underlying technology of telemedicine." "Telemedicine is not a radically new technology," says Manu Varma, vice president of strategy and business development for Philips Hospital to Home. "What matters is that it's used in the right way." However, the appropriate and most efficient uses for telemedicine still are being discovered. "[Telemedicine] has not yet reached its full potential," he notes. The research findings, as well as examples of real-world telemedicine programs, illustrate what can happen when clinicians, system experts, technology companies, and patients work together. Some patients have found telemedicine tools difficult to use. According to the researchers, "Frail elderly patients suffering from several serious chronic illnesses are not likely to use or benefit from this technology as it has thus far been implemented." However, progress is being made to solve this issue. "Wearable sensors, implantable devices, and smartphones have produced demonstrable efficiencies in the delivery of service," the researchers say. Jason Goldberg, president of IDEAL LIFE, a remote health management company, says telemedicine programs sometimes fail because the technology is too advanced for the population. "[For example], people who are used to pushing buttons to dial may not be able to use a touch screen," he says, adding that sometimes simple tools such as wireless scales are the best solution. Bashshur, a senior advisor for eHealth at the University of Michigan Health System and the paper's lead author, agrees that the technology's accessibility makes a difference in a program's success. "Some interventions [featured in the study] were a bit complex for patients, especially those who had issues with dexterity," he says. Matching the technology to the patient population is critical. Products may be too complex to scale to a larger population or may be overengineered for home use. "Products must be sophisticated in their simplicity," Varma says. For example, Philips uses icons instead of words or one button instead of two whenever possible. Telemedicine programs also run into trouble when they're made as an "add-on" rather than part of a larger system. IDEAL LIFE helps organizations determine whether they have the tools and resources to deploy and implement a telemedicine program. The next step is to make sure the clinical team is comfortable with the technology. Putting the right tools in the hands of experts who can easily use them results in improved patient care and reduced costs, Goldberg says. Philips takes a similar approach. "We focus on the operating model. We don't just bring the technology," Varma says. "We focus on the clinical program." Research indicates that engaging and educating patients are common attributes of the best telemedicine programs, Bashshur says. When patients have a better understanding of their condition and its treatment, they tend toward more informed choices and healthier behaviors. The authors say that through the use of telemedicine, patients are "encouraged to adopt healthy lifestyles and to manage their medications." When patients become involved in their own care, outcomes tend to improve. A staff of empathetic clinicians also can bolster a remote program's success rate. "It's important to have the clinical team making the calls. It lets the patients know someone cares," Goldberg says, adding that patients expecting follow-up phone calls are more apt to change behavior. For example, Bashshur's paper cites a 2002 study that investigated how the use of resources changed when nurses managed CHF cases via telephone interventions following hospital discharge. "The findings from this study demonstrated that telephonic case management provided by registered nurses using decision-support software during the early months following a heart failure hospitalization was associated with significant cost savings," according to the researchers. Patients were satisfied, hospital readmissions were lower, and "the authors concluded that telephonic case management in the early months following CHF is more effective than standard pharmaceutical therapy and other case management strategies." Bashshur says the nurses' ability to address predictors such as patients not adhering to dietary restrictions or medication regimens was a major factor in the positive results. Also, the chance to educate patients about signs that their illness may be worsening proved helpful. By managing large patient populations at the same time by the same clinical team, telemedicine generates efficiency gains for health care systems. Varma compares the technology with an air traffic control center in that both feature a multidisciplinary team focused on the remote management of a large population. While educating patients is important, he says a telemedicine program must be well rounded. "In the early days of disease management, when programs aimed at managing large numbers of people with chronic diseases, they tended to evolve into education-only programs," Varma says, noting that patient monitoring, gathering data, and physician involvement play key roles. "Telemedicine allows patients to see their vitals and to stay aware with their own body. Is it education? A little bit. But it's really peppering education with real, personal data at the right time that makes the difference." For example, Varma says it's more effective for clinicians to discuss low-sodium dietary choices when indicators point toward high blood pressure rather than wait 90 days for nurses who work with claims data to address the issue. "It's a balancing act," he says. "Patients can see their own data and become aware of their quantified self" through telemedicine. • developing the appropriate clinical workflow. Whenever a new telemedicine program is conceived and implemented, personnel must learn new skills. After all, while patients must be able to navigate the technology so, too, must clinicians. Although clinicians are not necessarily required to work longer hours, the introduction of new technology can be such a burden that staff members are likely to feel as if they are putting in more time at the office. Nevertheless, as telemedicine programs become more common, clinicians likely are to become more comfortable with the technology. "I don't think telemedicine is an added burden," Bashshur says. "It allows [clinicians] to be more productive within the hours they work, but the number of hours they work is fixed." Still, transitioning to any new technology can be stressful. To ease staff worries, IDEAL LIFE focuses on integrating its platform with the organization's existing systems. It also provides support to help staff members master the technology as quickly and efficiently as possible. According to Varma, Philips takes a similar but slightly different approach by forming multidisciplinary teams within telehealth centers where specialists interact with clinicians to manage patient cohorts. "The Empirical Foundations of Telemedicine Interventions for Chronic Disease Management" indicated that access and quality are closely related. Without access, quality is not possible. Patients in remote rural areas have long faced issues related to access—even those who live close to hospitals and other health care organizations may have trouble obtaining care through the traditional system. The report found that telemedicine can be an invaluable tool to help alleviate this problem. "It is important that a large and growing segment of the population suffers from chronic diseases and can benefit from improved spatial-temporal access to health resources while trying to manage their health as best they can in their own homes," the authors wrote. When telemedicine, particularly telemonitoring, is implemented, the resulting data and feedback can determine when in-person visits should take place. Bashshur says this ability gives telemedicine an edge over the traditional model of care delivery. "Visits [in the traditional model] are set on a fixed schedule. If the condition exacerbates in between scheduled visits, patients may have to go to the emergency room, which is the least efficient method of care delivery even though it's still pretty good," he says. 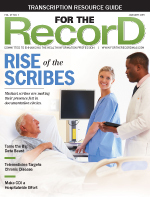 "Telemedicine will allow patients to be seen in person as indicated by their need." Varma says telemedicine allows for greater specialization than can be found with a primary care provider (PCP). "If a PCP has 2,000 patients, probably only 5% of them have some chronic condition. It is hard for the PCP to specialize," he says. In such a case, a lack of knowledge and time constraints may affect the quality of care. When a multidisciplinary team can step in and manage chronic disease cases, patients generally receive better care, Varma adds. Goldberg says telemedicine should "bridge the information gap between caregivers like doctors, nurses, and hospitals, and the patient, who is ultimately the end user, the consumer." The traditional model of fixed appointments leaves that gap open. "There is a lot going on between physician visits," he says. "Telemedicine empowers everyone involved with the right knowledge and feedback." For stroke patients, access is a major concern because the amount of time that elapses between onset and treatment is crucial for successful recovery. "Prompt and accurate diagnosis and treatment can produce optimal outcomes, both short term and long term," the authors wrote. "Hence, the critical variables in the intervention are based on timing." Patients in some remote areas must be transferred to specialized stroke centers that operate in a "hub-and-spoke" system in which "community and rural hospitals are electronically linked with medical centers containing stroke expertise," according to the authors. Cost is a factor in all cases of chronic disease, with approximately 75% of all health care expenditures being spent on its management, according to the paper's authors. Because COPD is often accompanied by other diagnoses, the condition is among the most expensive. "Exacerbations and comorbidities contribute to the overall severity and the quality of life in individual patients," the authors reported. Telepulmonology, which allows for the frequent monitoring of lung function to help avert an exacerbation and hospitalization, is typically used for COPD patients. Although the vitals and symptoms being measured are different with different chronic diseases, telepulmonology is similar to telemonitoring CHF patients. The authors concluded that telemedicine is a viable weapon in the battle to curb health care expenditures. "Costs frequently are reduced by avoiding unnecessary services. Moreover, the costly complications of chronic illness may be reduced, yielding improved health outcomes among more informed patients, who are more likely to engage in positive health behaviors and to adhere more closely to prescribed medical regimens and self-care guidelines," they wrote. Cost savings in the form of "lower hospital admissions and readmissions, length of stay, and emergency department visits" were revealed in the majority of studies for all three chronic conditions. Bashshur says these findings were somewhat unexpected. "When we started reviewing the literature I was not sure we would find the overwhelming evidence of good effects," he explains. "I was a bit surprised by how strong the evidence was." With the preponderance of evidence indicating that telemedicine has a positive impact on access, quality, and cost in CHF, stroke, and COPD management, how should hospitals respond? When implemented correctly, telemedicine works well, but Bashshur cautions that different hospitals have different needs. At large organizations, telemedicine "can help in the management of large numbers of people with chronic diseases," he notes. Meanwhile, many small, independent hospitals struggling financially may find the technology a boon to their bottom lines. "If this modality can bring them more business, it could be beneficial," Bashshur says. Once hospitals identify what they want to gain from a telemedicine program, the next step is to analyze what resources are in place and what is needed. Can existing software and equipment integrate with the new technology? How will staff members be trained? Will the program exist within the hospital, in skilled facilities, in patients' homes, or in all of these settings? Examining what is in place and what new resources will be required is an essential step. The authors concluded, "There is an ever-growing and complex body of empirical evidence that attests to the potential of telemedicine for addressing problems of access to care, quality of care, and health care costs in the management of the three chronic diseases chosen for this review. ... It is hoped that this evidence would be useful for policymakers, researchers, program developers, providers, payers, and the public at large." While telemedicine has not yet reached its potential, unresolved problems in health care delivery, technology advancements, and additional research promise to expand its reach.